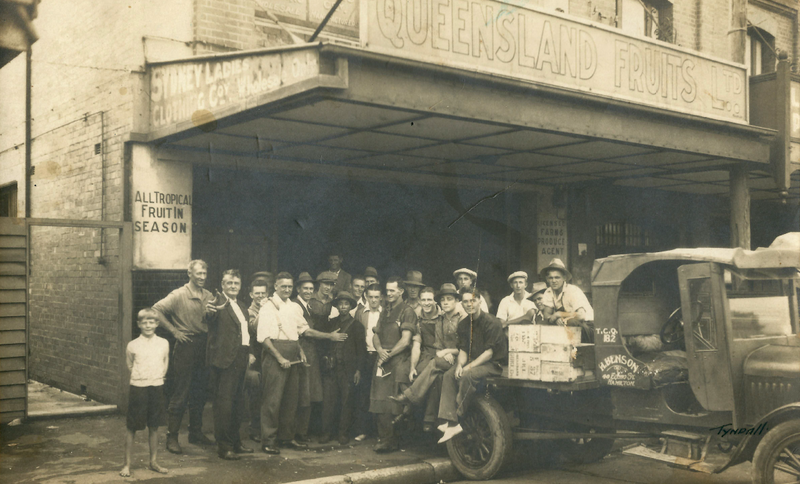 It was in the 1920’s following the great World War 1 that Robert Earnest Roffey started a business called Queensland Fruit Company in the 'Steele Street Fruit Markets' in Newcastle. 'Bob' as he was known as had a great reputation for being a businessman of great integrity and offered his customers the very best in terms of service and quality of produce. As an avid gardener and grower himself of much of his homes produce requirements he, along with his lifetime partner and wife, had a keen eye for quality. With a young family to support, Bob worked very hard and spent long hours in a trade that he loved. With the advent of the great depression came tough economic times that many businesses could not endure. Many of Bob’s clients could not afford to pay their accounts and with that came the demise of his business 'Queensland Fruit Limited'. One of the great testaments to Bob’s character was that although he was forced to close the doors of his business every single creditor was paid in full, mind you his trust in the banking system at the time was irreparably damaged and was never recovered. The next phase of Bob’s life was a number of engagements where all he wanted to do was earn enough money to support his family. In the late 1950’s Bob started selling Real Estate for a company in Broadmeadow called 'Lindons'. Shortly after in the 1960’s he started his own business called 'Kentucky Real Estate' where this business was in instant success. The reason for this success was that Bob’s reputation of honesty and integrity were always considered by himself as his greatest asset, the Migrant community with which he had been associated with during the time of his fruit business had never forgotten him and as they built their real estate portfolios 'Bob' was the go-to' man. 'Bob' was known to me as 'Poppa Roffey' as he was my Grandfather, I can still remember the smell of his leather apron which is still part of the uniform of the produce trading markets today. The lesson I have learnt from my Grandfather is that Honesty, Integrity and hard work are the greatest qualities you can have yourself and indeed instil in your children and extended family.